Win a Free copy of a suspense book from best selling author! Today I’m very lucky to be interviewing Rachel Amphlett author of White Gold, Under Fire and Before Nightfall. 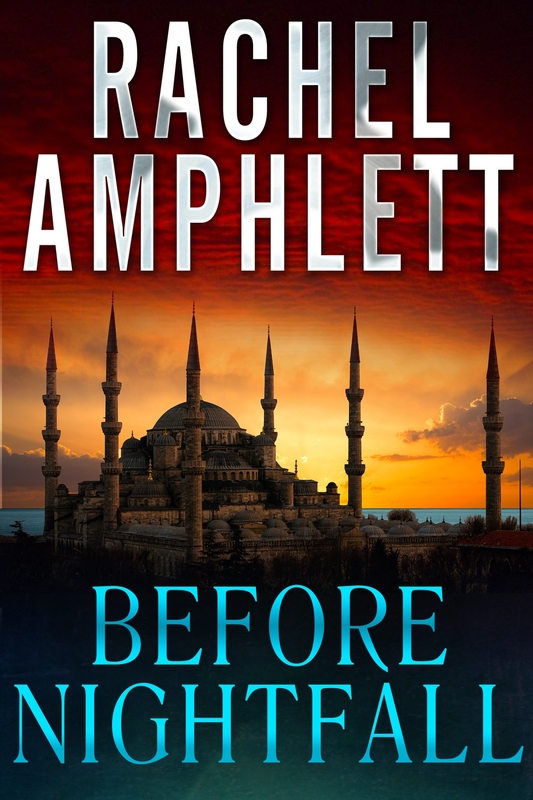 If you’d like the chance to WIN one of THREE FREE copies of Before Nightfall – just let me know by leaving a note in the comment section of this blog before Friday 6th June. Hi Rachel, thank you for agreeing to this interview. Do you have to travel much concerning your books? While I was writing Under Fire, the most exciting trip I did for research was spending some time on HMAS Onslow, the Oberon-class submarine at the National Maritime Museum in Sydney. I realised I still hate being in submarines – they’re so claustrophobic! If your writing office was a sailboat or yacht, what would the boat be called? Where would you anchor in the world to be most inspired? I keep being told that Costa Rica is worth a visit, so that’d be a start. Or Puglia, in Italy – I saw a photograph of the coast there at the weekend and it definitely ticks a lot of boxes! I think my brain would explode if I didn’t – I have so many ideas whizzing around in it! I really don’t understand writers who state they have no idea what to write. Holding a book I’ve written in my hands, as a paperback. I’ve always said I wish I could jump straight to that part sometimes, rather than go through the whole process of writing, editing, etc. But that’s just me being my normal impatient self. Do you have any writing rituals you like to follow? My other half laughed when he saw this question, so I guess I do! If I’m writing longhand, then I always use the Moleskine A5 notebooks and I use a 1.4 blue felt pen – I hate them when they’re new but once you get a couple of thousand words down, the nib goes nice and squishy. These days I mostly write on my laptop on the train going to and from work so I hit my target every day. It’s a really low target so I don’t get too stressed out if the words aren’t flowing that day. A couple of standalone novels. One is a thriller, the other is probably more easily termed a suspense novel. I’ve started the research for the third in my Dan Taylor series of thrillers too so that I can start writing that in the new year before I start getting rude messages in my mailbox from readers wondering where he is! Are your plots/characters based on someone you know, or events in your own life? Most of my plots are inspired by real news events – I’m a news junkie and usually skim through 4-5 news websites every morning and dump interesting bits and pieces into a folder for future reference. Sometimes I’ll see a face or a tic that I build into a character, but more often than not, they pop into my head complete and I just have to get to know them. I love what I do – that’s a huge help. I’ve got a great support network of family, friends and peers who help keep me on track if I’m ever in any doubt about what I can do – I think all creative types have those moments of self-doubt and you definitely need a good tribe around you at times like that. Tell us about the cover and how it came about. I knew I wanted something striking and sent Derek Murphy at CreativeIndiesome photos as a rough idea, along with the title of the book and he had the first proof to me within a couple of weeks. My jaw hit the floor when I saw it – he’d nailed it straight away. We only made a few tweaks with the font effects and it was done. Write the book and keep my fingers crossed! Seriously, I wish more readers would write reviews because we authors are so dependent on them to pass the word around, but I can never bring myself to use one of those paid review services – it just seems wrong. I’d rather have a handful of great reviews rather than anything that might seem fake. What is the very best tip you have for aspiring writers? Don’t give up! And an extra one: don’t be afraid to contact other authors for help or advice. Will you be adapting any of your stories for the screen? I’d really like to, yes. I’ve just completed a screenwriting course with the Australian Film & Television School in Sydney so if anyone fancies collaborating, drop me a line! Procrastination. Get on with it – life’s too short! How do you take time out? I love to travel – I’ve still got a wish list into double figures of countries I’d like to visit so that’s definitely my ultimate ‘time out’. Otherwise, a good meal with friends or family; sitting at a bar having a drink with my other half and just watching the world go by; or finding a quiet corner to lose myself in a book – can’t beat that for relaxation! Just a huge thank you – I really couldn’t imagine that my writing would take me where I am right now when I started three years ago. Can’t wait to see what the next three years bring! Rachel Amphlett previously worked in the UK publishing industry, played lead guitar in rock bands, and worked with BBC radio before relocating from England to Australia in 2005. After returning to writing, Rachel enjoyed publication success both in Australia and the United Kingdom with her short stories. Rachel’s Dan Taylor thrillers WHITE GOLD and UNDER FIRE reached Amazon’s bestseller lists in January 2014 for both Technothriller and Action & Adventure categories. A new standalone suspense novel, BEFORE NIGHTFALL is due for release on 5 June 2014, while two further independent projects and a third Dan Taylor thriller are currently being researched. We’ll all be over for a drink on ‘Gin & Tonic’ Love to win a copy of Rachel’s book. Thanks for the opportunity . Rachel is one smart cookie! Best of luck Trish! Thanks Veronica – best of luck! Sounds exciting. Count me in. It is Rolande! Good luck! Lovely interview, Rachel and Jackie. It’s always interesting finding out more about author’s writing process and Rach is one busy lady. Thanks Helene, I love Rachel’s answers, they really give an insight to her writing and her character. As for me, I am patiently waiting to be somewhere more than a few days and with an address so I can order some decent reads – probably ‘Safe Harbour’ first! I would love to win a copy of her book! Fingers crossed! Thanks for sharing your interview with us. I would love to win a copy! Thanks Nicole, I love this interview – some neat Q&As! Thanks also for the well wishes, updates coming soon-ish . . . Best of luck to you in the draw too. Rachel Amphlett sounds like an interesting author. I admit that I had not heard of her before now. Please throw my name in the hat for a copy. Still looking at boats/barges? I forgot to mention before; I was given a copy of “Cruisers AA” for Christmas. Very good read. Hi Michael, thanks for entering and good luck! 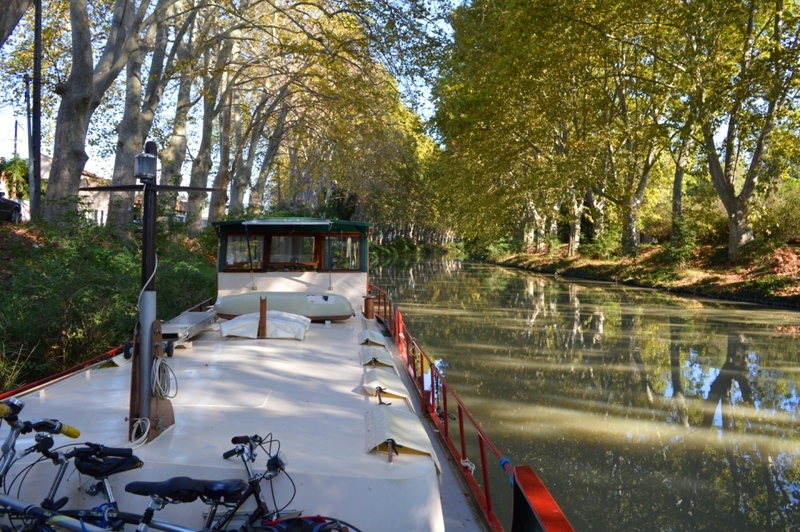 We have just put a deposit on a barge in France but have to wait a few weeks to slip for the survey. We are very excited about it and itching to get on board – will post detail on the blog soon. Lovely to hear you were bought a copy of Cruisers’ AA – if you get the chance please leave a review on Amazon, Goodreads, Boat Books . . . anywhere you can buy Cruisers’ AA. You don’t have to write much if you don’t want . . . just a few words. Reviews are the lifeblood of authors and it’d be much appreciated! More news on the barge soon. Hi Patrishde, Thanks for stopping by, I really enjoyed Rachel’s answers too! Thanks for entering and good luck – by the by, I tried to look at your website ‘sailawayblues’ and it says ‘nothing there’ – do you still have a website? Thanks Laura, Rachel does provide some great answers! Good luck! CONGRATULATIONS to Ellen, Nicole & Veronica who have won a copy of BEFORE NIGHTFALL – thanks everyone for stopping by! How exciting! Thanks so much – looking forward to reading it! Yay! Thank you. I’m sure Before Nightfall will be as enthralling as Rachel’s previous books!